29/08/15. Shaqlawa, Iraq. -- Imad, 38 y.o. from Falluja lives in a 12 square meters room in a basement of a disused building at the centre of the bazar, and for which he pays 300.00 IQD (250usd) per month. 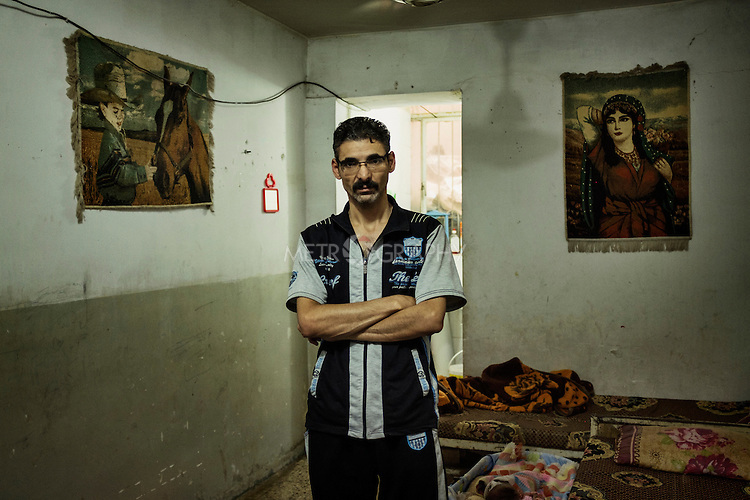 A former employee of the ministry of industry in Falluja, Imad lives with his wife and two children. He says "we don't complain about the rats and mice: we live with them, we got used. But the snakes, those are dangerous, they are silent, and they bite."